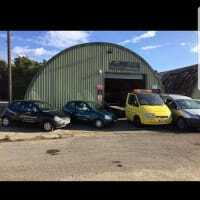 We’re a friendly, family run business that’s trading standards approved and takes pride in offering an excellent service to our customers, whether they only need a new battery fitted or whether they need a full on repair to fix a serious fault. With over 20 years' experience, our professional mechanics know what they’re doing and will take care with your vehicle. Working from our super clean garage, with the highest grade equipment, our staff produce high quality work with a fast turnaround to get you on the road again. Looking for a garage in Ompton, Nottinghamshire?